Welcome to my website! Please take a look around. You’ll discover stories and poems, pictures of interfaith readings and workshops and of conversations with editors and readers. 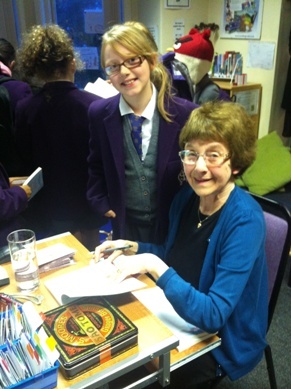 Especially with the children I meet when I talk to schools about my writing. Or run workshops to encourage them to write. They need no encouragement- their stories and poems fly onto the page! 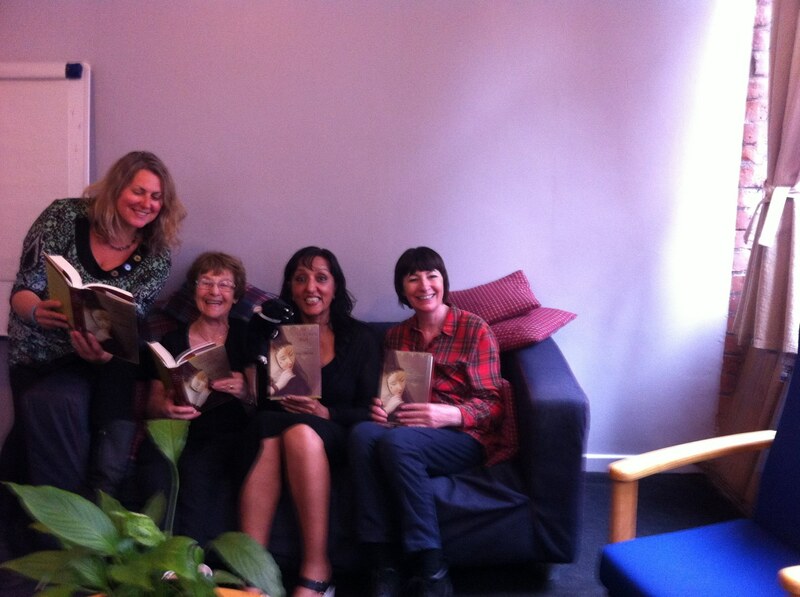 You’ll also find me chatting about my novels: Babyday - women’s fiction with a touch of the unusual. How I Broke Mama’s Commandments, a story set in Edwardian London and inspired by Sophia, my Russian anarchist grandmother. And now: The Child Who Spoke with Her Eyes – A mother’s spiritual journey with her disabled child. This is a memoir of our beautiful, charismatic daughter Vanessa who had cerebral palsy, yet she charmed everyone who met her. It will appeal to all those viewers and readers who love Call the Midwife for it’s about mothers and fathers, babies and children. Latest news: we held a fantastic launch on Sunday 16 December at Yeshurun Synagogue, Gatley, when more than one hundred people filled the Shacter Hall! Another ‘secret’ launch at my house and there will be a third on Sunday 10 March at Menorah, Northenden. A few thoughts about my memoir. I’d wanted to write this for years but it was only when I approached a significant birthday, I realised if not now, when? Putting aside ( with a promise to finish it) How I Broke Mama’s Commandments, and using diaries, photographs and above all, talking to the family and people who knew Vanessa, I rediscovered the joys and sorrows of bringing up a beautiful, charismatic but profoundly disabled child. It has taken two and half years from the first to the final version to complete but I’m delighted to say that it’s finished, edited and copy edited, and published! 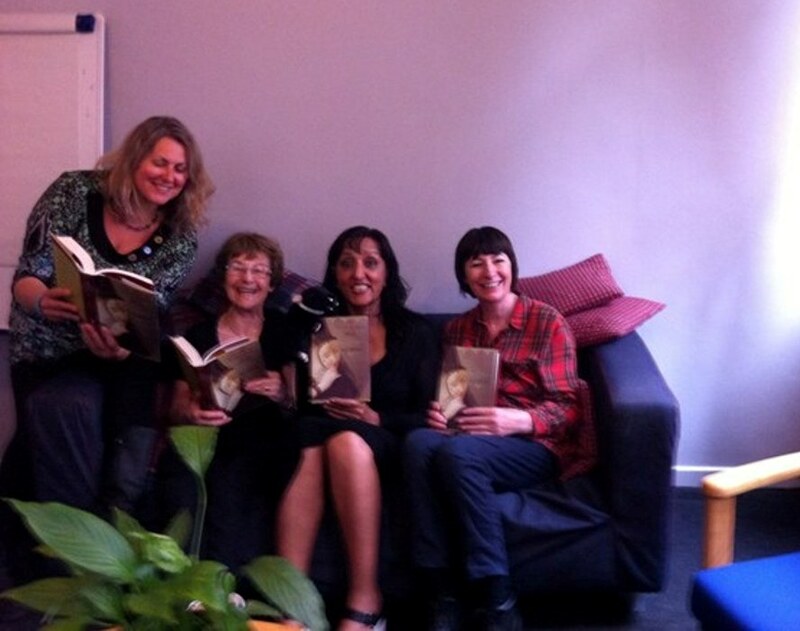 My Wonderful ‘Novel Writers Group’ with Olivia Piekarski, Anjum Malik and Cath Staincliffe, holding up Mary Sharrat’s brilliant new novel, The Dark Lady’s Mask. Thanks to them for the support and feed back, the memoir is finished! 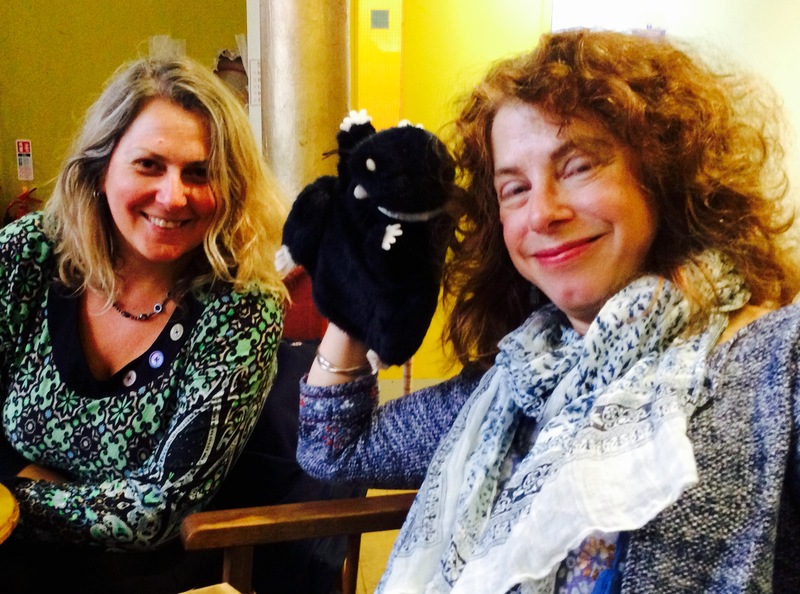 And Mary with Ophelia, the Feminist Plague Rat who visited NWG that day! I must add Rafi Brown and the Candy Floss Kid, my fantastically well-received middle-grade novel, the story of Rafi, a brilliant, dyslexic, eleven-year-old cartoonist and his friend, Candy Floss, who dyes her hair pink and never goes to school. How does she do it? 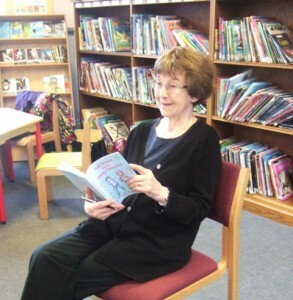 Adele Geras, distinguished writer of many books for children and for adults. I stayed up till stupid o’clock reading this book! This was a fantastic read and once I had started it I could not put it down. I had to finish it in one go because it was such an awesome book. Mrs hegarty the evil school teacher reminded me of a teacher in my school. I also liked it becasue I knew the places in the book in real life because I used to live in Didsbury in Manchester. My favourite character was Rafi beacuse he bunked off school like I have always wanted to. This book is good for 8 to 13 year olds and suitable for boys or girls. I hope she writes another one soon because this one was epic. My name is Poppy and I loved Rafi Brown and the Candy Floss kid sooooooo much! When I started reading I got in to it so much I couldn’t put it down. When I was reading about Horrible Hegarty I thought she was the same as Zegabos (the evil queen in Rafi’s story) it is one of the best books I have read and I think everyone of my age and older will also enjoy it. The pictures in the book helped me imagine, together with the vocabulary what was actually happening. My 10 year old daughter read this book in just a couple of days, because she enjoyed it so much. The characters are engaging and the plot entertaining and thought-provoking. She has asked for further adventures of Rafi and the Candy Floss Kid! This is RAFI BROWN AND THE CANDY FLOSS KID’S first outing at Didsbury Library’s after school reading. I hope they enjoyed it. I did. A lovely audience of three adults and a variety of children - and we sold five copies of the book! And our last reading of the year at Moor Allerton School.